by Erickson, Ernest, Linda Ferber et al. Brooklyn Museum, 1987. Paperback. 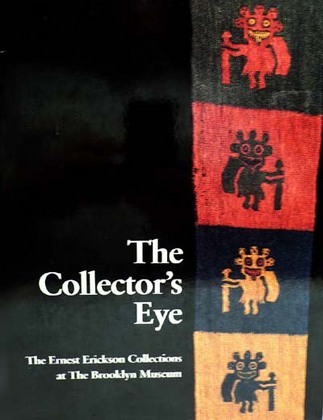 Six articles on the collection of Ernest Erickson at the Brooklyn Museum. Among the art types discussed, illustrated and catalogued: Ancient Andean, Egyptian, Iranian, Indian, Islamic, African and Oceanic. 272 pages. He had a sharp eye.